18mm Diameter & 15MM sticking out from wall. 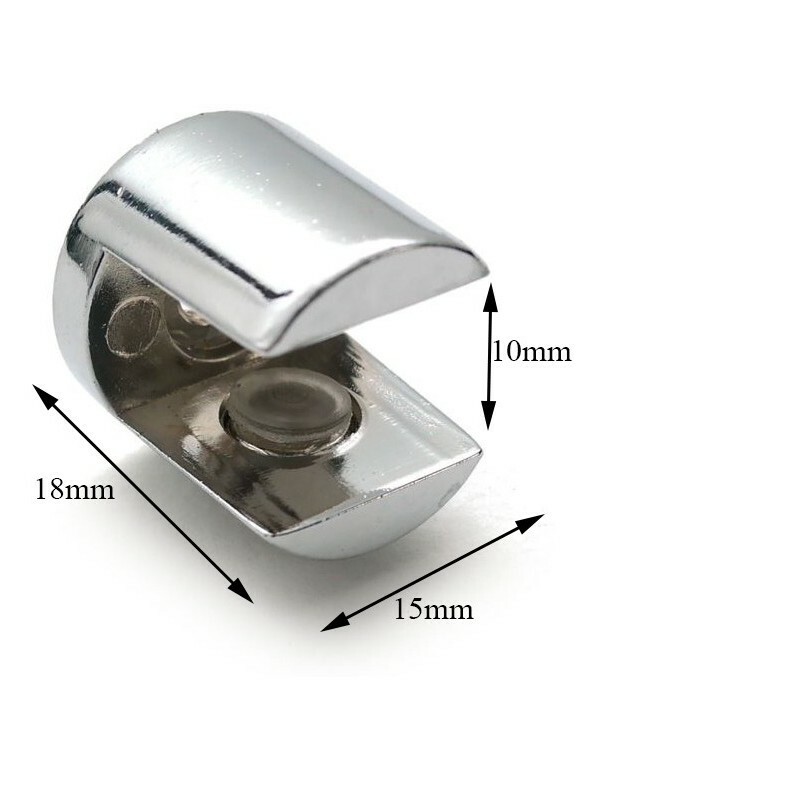 High Quality made with brass polish chrome FINISH. Glass shelf support, screw fixing For glass thickness up to 10 mm. 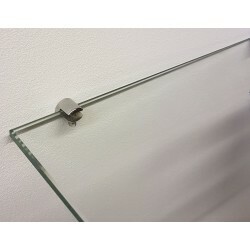 Glass secured by grub screw with nylon cap Glass projected 4 mm from wall Polish Chrome. Screw into the wall with screws & plugs. Slide in the glass from front & tight the glass by tightening the bottom screws which has the plastic tip to avoid scratches on the wall. 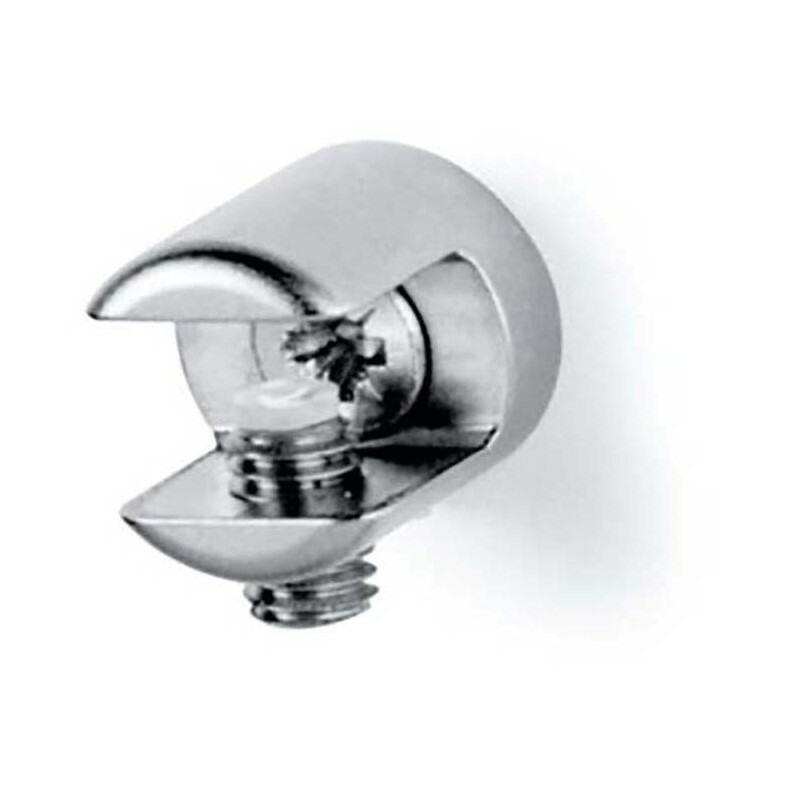 Suitable for up to 200MM & 20CM deep shelf if a wall is strong. Apply one support after each 15CM to put heavy things on the shelf.